Realtors and interior designers often describe a house as having “good bones” when its historic architectural layout is fabulously timeless. The Biltmore Hotel in the Coral Gables section of Miami has great bones. Designed by the same architects who designed The Breakers of Palm Beach, The Pierre and Sherry Netherland hotels and responsible for some needed nips and tucks to the Plaza and Waldorf-Astoria in New York, it is safe to set high expectations for a visually indulgent resort experience. The back of the Biltmore facing the golf courses. One day I hope to climb those copper stairs to the top of the Biltmore hotel. The Biltmore lobby is a magnificent historic masterpiece with soaring ceilings, painted wood beams in the Spanish style, columns and archways of a medieval European cathedral, and incredibly large gilded cages hosting families of finches in rainbow colors, whose melodic peeps can be heard when the harpist isn’t playing for those having afternoon tea. What the Biltmore lacks in sand and surf, it makes up in other ways. The lobby ceiling at the Biltmore Miami deserves reflection. Cages of finches in the Biltmore lobby. Asking the concierge a question at the Biltmore Miami. From its opening in 1926 to the beginning of World War II, the Biltmore was a Jazz Age celebration of continuous galas and pool parties. And the hotel boasts not just any pool. It is still one of the largest resort pools in the world, adorned by a colonnade of Greek goddesses to one side and tropical paradise cabanas on another. The hotel staged many synchronized swimming and diving spectaculars in its Golden Age, and Hollywood filmed Esther Williams and her chorus of bathing capped beauties at the pool more than once. It is a sight to be seen. It is a a subject any photographer will want to capture at all hours of the day. The Biltmore pool is a Miami must. Moon over Miami from the Biltmore pool. 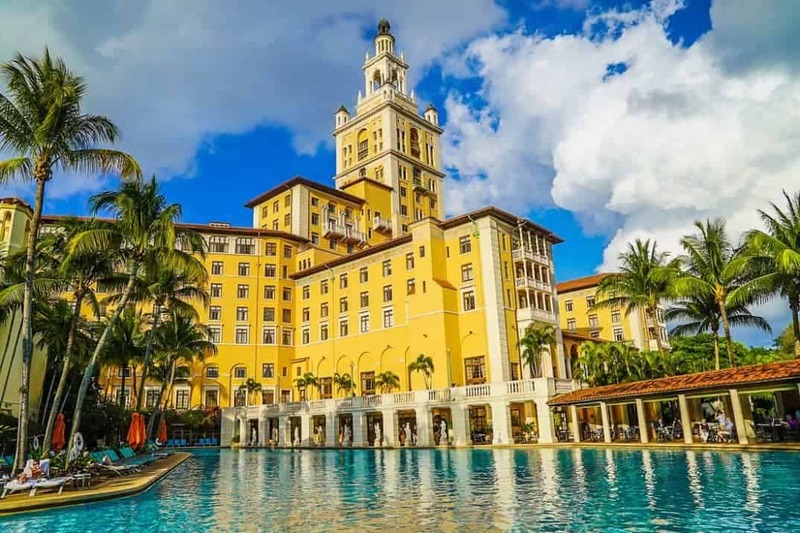 The Biltmore is a quirky resort for the Miami market. 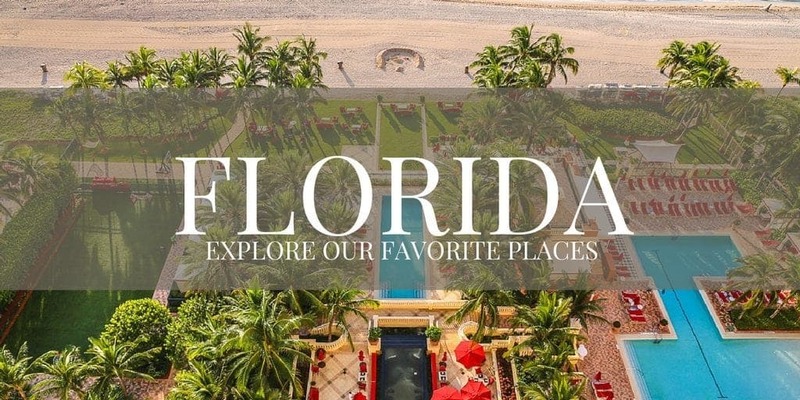 Guests should choose the Coral Gables location because it’s more convenient to their Miami plans or Coconut Grove, because— like me— they have a passion for historic hotels, or because they’re interested in more of an expansive country club-like resort with tennis, golf, swimming, and kids programming than the South Beach scene. Rooms at the Biltmore are simple, and probably the one area that differs from five-star hotels in Miami. The golden hued rooms offer ceramic tile floor and have the smaller bathrooms that come with historic properties. The first room we had, although designated as a Junior Suite, worked fine for my son and me, but only had a king bed and armchairs. When we returned with our whole family of four, we booked a two queen suite that worked very well. A pool-golf view room is worth it, so request one. Rooms are on the snug and simple side for families, so be sure to request the right bedding configuration for your family. Children receive welcome milk and cookies at the Biltmore Hotel as well as a child sized bath robe. The pool and golf course views are gorgeous and worth it at the Biltmore Miami. Our one bedroom suite had views of the event and wedding space at the Biltmore that also doesn’t disappoint. The living area of the suite is separated from the bedroom by the bath with a double sink vanity area. The two-queen bedrooms and suites work best for families, though the suites do not have sleeper sofa. They can take a rollaway. Breakfast is served in the courtyard of the hotel. There’s an interior buffet served in Fontana, but most guests take their breakfast outside in the loggia, easily one of the most spectacular settings to start one’s day. Be sure to view angles of this courtyard from the second story after your meal and pause to admire the ceramic tiles, the painted wood, and the original lantern fixtures. Although I’ve never been to Córdoba, Granada, or Seville in Spain, as a medievalist they’ve been on my bucket list for decades, and the Biltmore served as a delicious visual bite to tide me over a bit longer. A second story view of Fontana’s courtyard. Starting each morning at Fontana was a beautiful tropical paradise at the Biltmore. I found the presence of this building practically spiritual as if I were visiting a medieval cathedral, and its beauty literally brought a tear to my eye in appreciation. Lunches are taken poolside at Cascade or at the 19th hole by the golf club. My son and I did not try the signature restaurant, Palme d’Or, one of Miami’s most acclaimed and oldest French restaurants, but the elegant interior I saw indicated it was not an ideal family choice for chicken nuggets and fries, so we had dinner in our room with a delicious key lime pie to enjoy local Florida favorites. The Biltmore afternoon tea is a Miami institution. I called Miami based Luxe Recess contributor Audra, and we gathered our littles, a few dolls, and our appetites for an elegant afternoon of trying to keep three children under 5 as content as the guests around us. Generous, indulgent portions made for substantial leftovers for days of refined sugar treats. It is a must do for all high tea lovers visiting Miami. The Biltmore afternoon tea offers a generous assortment of treats. The Biltmore Spa is an incredible value for a luxury spa. The fitness facilities are expansive at the Biltmore, as it serves as one of the most prestigious health clubs in its affluent Coral Gables neighborhood. There are several exercise classes offered daily in addition to golf and tennis clinics for all ages. 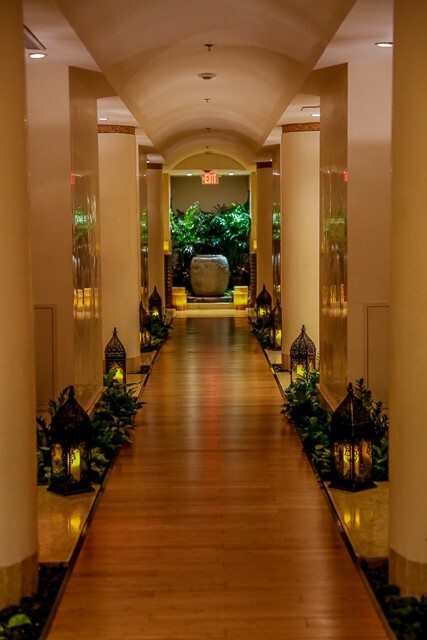 The Spa, on a high floor in the hotel, offers a tranquil escape with an array of options outside the standard like Reiki, acupuncture, Ayurveda, and Thai massage therapies. The comprehensive menu of treatments makes up for its more causal lounge and wet areas compared to five-star spas in the area. 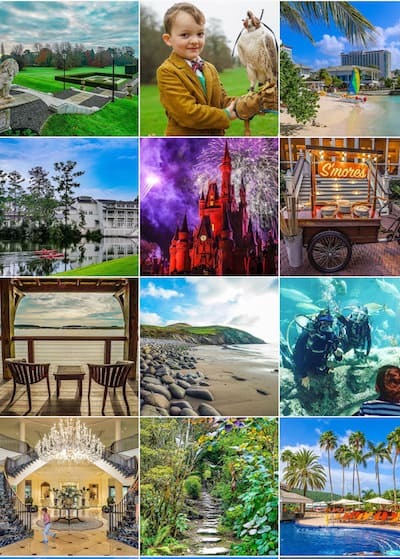 But additionally, the Biltmore Spa offers value in that it is priced more like a day spa for its loyal, local clientele than a resort spa whose treatments all start between $200 and $300. Many of the facials and massages are under $200, making the Biltmore Spa an excellent value. The Biltmore is one of Miami’s most popular wedding locations, so its spa and salon are well suited for head-to-toe grooming and offers suites for groups. Barbour is the facial line of choice, and I enjoyed a signature Barbour treatment leaving my skin smooth and glowing. The Biltmore pool is in a league of its own. I had visited the resort fifteen years prior and the memories of its pool stayed vivid with me. Its historic and majestic feel isn’t lost on children either, as I couldn’t get my son out of the pool the whole visit. He befriended a group of grandmother members taking a water exercise class because of their specialized pool noodles and water weights. Compared to many South Beach pools, the Biltmore’s atmosphere is refreshingly unstuffy and welcoming to children. Had we stayed longer on property, I would have loved to have enrolled my son in the children’s golfing and tennis lessons, too. The Biltmore cooking class offerings are extensive, and those visiting for the week in the summer should consider signing their kids up for the cooking camp from Monday through Friday. On our final night after visiting friends in Coral Gables, we came back to find a live Cuban jazz band performing at the bar café at the pool. My son begged me for one last swim and having reached that true vacation state of mind, I said yes instead of no despite its late hour. After we put on our swimsuits, we entered the warm water to a jazz guitar rendition of “Riders on the Storm” by the Doors that sounded leisurely and innocent compared to its original version. So he took my hands, and we danced a slow dance in the pool underneath the full moon at the Biltmore experiencing perfection in Miami. While our hands were gripped loosely, I was embracing every last second of his cuddly, toddler self with all of the strength I had. One of my favorite memories as a mom happened at the Biltmore pool just before I took this shot of a magical night. Although we were guests of the Biltmore Hotel, these options are entirely my own. Check your dates for rates at the Biltmore Miami. 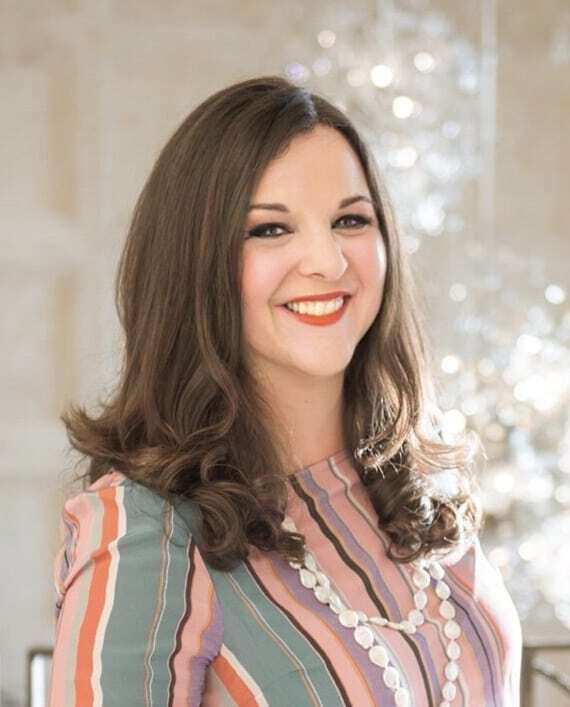 For more ideas when planning a family vacation in Miami, check out what Luxe Recess mom and Miami native Stephanie Ansin suggests for more restaurants, attractions, and shopping. Oh my goodness! What a beautiful memory you will have forever! That looks amazing! I haven’t been to Miami with my kids, but it’s definitely on my list. I can just envision eating breakfast out there on the loggia. Heavenly! Wow! What an amazing place to stay! I love the afternoon tea and the milk and cookies along with the children’s robes! Yargh — your last line made me tear up! Beautiful story and beautiful hotel. I could tell immediately that it had an architectural connection to The Breakers. Keep the great reviews coming! Oh man! What a dream hotel spot to crash in while in Miami. Definitely on my hotel bucket list! Thanks for giving me an inside peek at what I have to look forward to! What a completely gorgeous hotel! The architecture is just stunning. It sounds like you guys had a fun time too. What a gorgeous property. My husband and I have been considering a quick trip to Miami on our way to Key West and this is exactly the type of historic property I’d love to stay in.